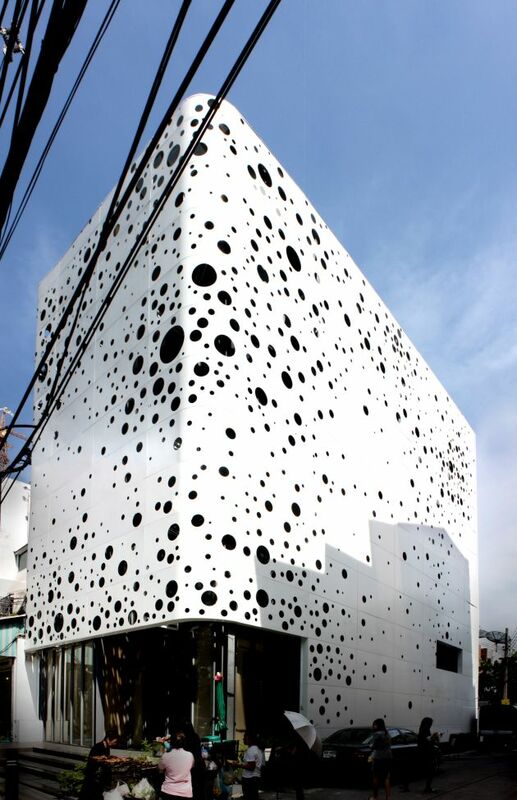 Architectkidd, an architecture and design practice based in Bangkok, Thailand, have sent us some photos of a new building facade design they have completed. 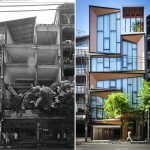 Walking around the streets of Bangkok, it is possible to find inspiration in the way building owners modify their shop houses. These buildings usually begin as concrete constructions, but owners would later add layers over existing surfaces in order to block out heat and sun. Low cost and lightweight metal materials are cut into panels or pieces to create a pattern over the existing shop house. 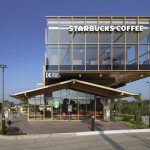 In the way these ad-hoc facades are conceived, they are the opposite of typical facades designed by architects and professionals. But despite their humble origins, these shop house facades can sometimes provide intriguing and surprising results. When we began this project – a renovation of a shop house into a lighting showroom – we had a question: how can we can re-interpret these shop house facade strategies? 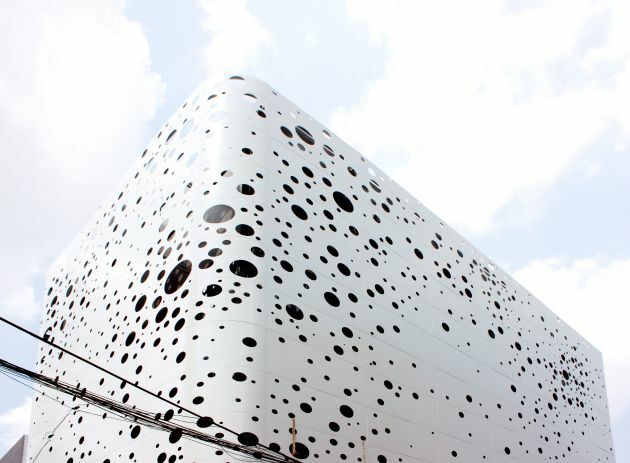 We sought to create a kind of an ‘accidental’ facade, a design that can reflect on the sometimes improvisational nature of construction in Bangkok. 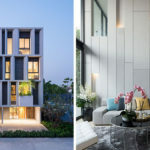 After developing the program and interior spaces with the client, we began to focus on the exterior facade and experiment with building materials and techniques. We knew that we had to follow certain construction practices such as support framing and material dimensions, but at the same time, we wanted to try to undermine some of these aspects. 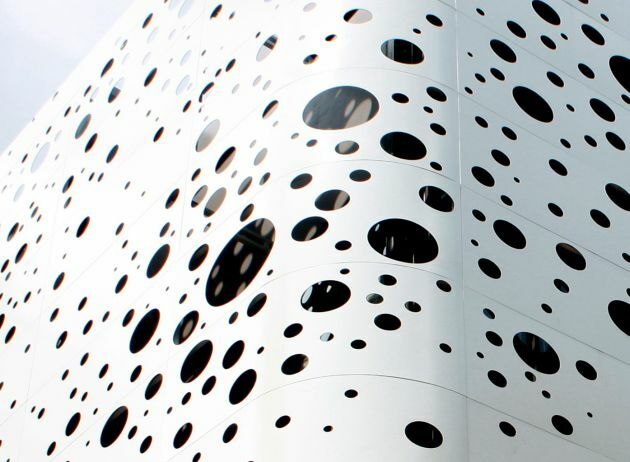 The use of circular holes was an outcome of these design experiments. We intended to maximize the effect and customize every panel with a different arrangement of patterns. Using holes as the cutting geometry was a kind of an optimization technique because a circle is an efficient way to create a closed shape, and it minimized the time and cost of the computer controlled cutting. 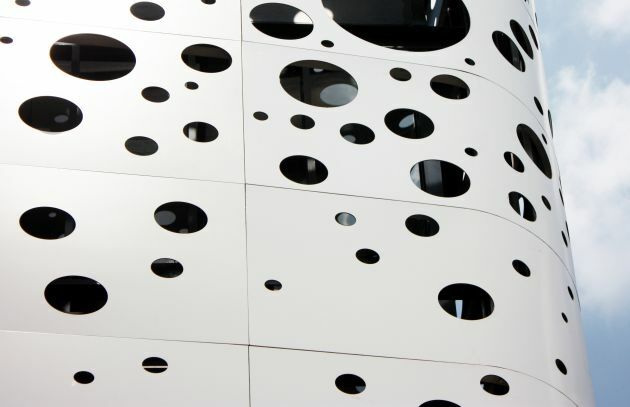 From the design experiments, we eventually arrived at a facade design and pattern that the design team and building owners were satisfied with. 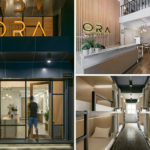 The final outcome can perhaps be seen as an alternative renovation strategy where new life can be injected into shop houses in Bangkok while acknowledging their existing characteristics. Visit the Architectkidd website – here.